The religious Superiors of the congregations working in Tanzania agreed early on with the Salvatorian Mission Superior, Fr. Andrew Urbanski, SDS, that there was need for an Institution of Higher Education for their Religious members – especially for those who felt a calling to the presbyteral ministry. To the great satisfaction of all concerned, preparations for such an institution began at Kola, in the town of Morogoro in Tanzania. 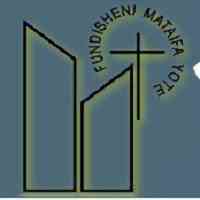 Discussions concerning this project were initiated at the annual meeting of the Religious Superiors Association in Tanzania (RSAT) in 1988. Some time later it was clear that there was a need to have both a Philosophical and a Theological Department at the proposed institution.  The University offers an attractive remuneration package and an excellent working environment.